Respect to the restaurants that weather the decades, rent rises and diner demands and fashions. Gars is one of the few still going strong after such a long stretch, opening in '83. In fact, I remember one of my very first dates there (shout out to Jim) where faced with a bowl of exotic-for-me-at-the-time lychees, I downed the lot, stone and all, to avoid admitting I had no idea what they were - eyeballs? Shows how far I'm willing to go to impress I suppose. Lucky for me, the spiky skins had been removed. As I said, it was a LONG time ago. 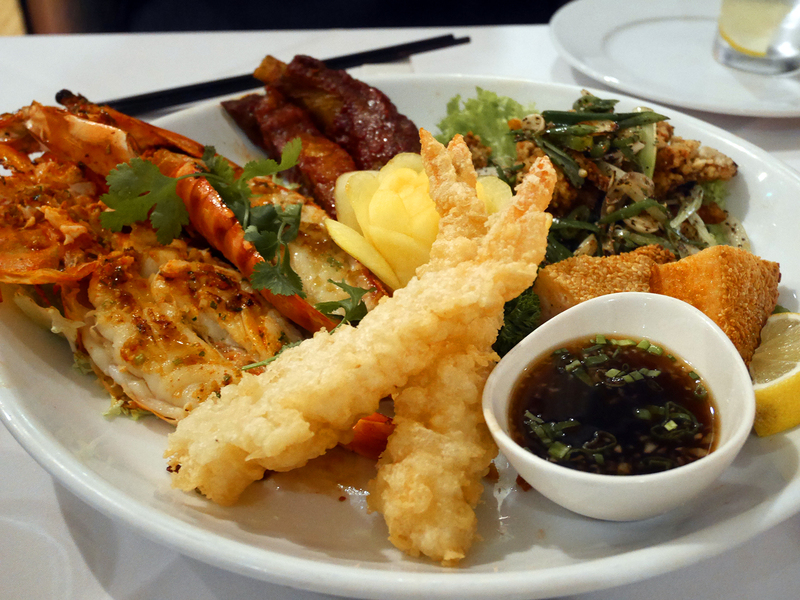 Gars is has some Asian fusion influence to the menu and has more Anglo appeal than some of the other Chinese restaurants in town, so depending on how gung ho you are with a menu, may be more to your taste. I'd like to think we are more adventurous as diners but am sad to hear it when great dishes like the incredible Iberia Pork Presa at Pabellón recently was removed as diners couldn't get their head around pork being served pink. Me? I'm happy to throw a dart at one and if it lands on the duck tongue dish, bring it on. Most of the dishes here though you'll be familiar with; chicken satay, Wonton soup, sizzling meat dishes and fried shredded beef. Prawn toast an inch thick was the best I've had. Soft, squidgy and crisp at the same time and their enthusiasm for BIG didn't wane throughout the starters; the fleshy, meaty garlic prawns struggled to fit on the plate and the pork ribs in a sticky Peking-style bbq sauce were Flintstone-esque. Best of this good bunch was a soft shell crab in a light batter and enough firery pepper to wake you up from a minor coma. In a good way. 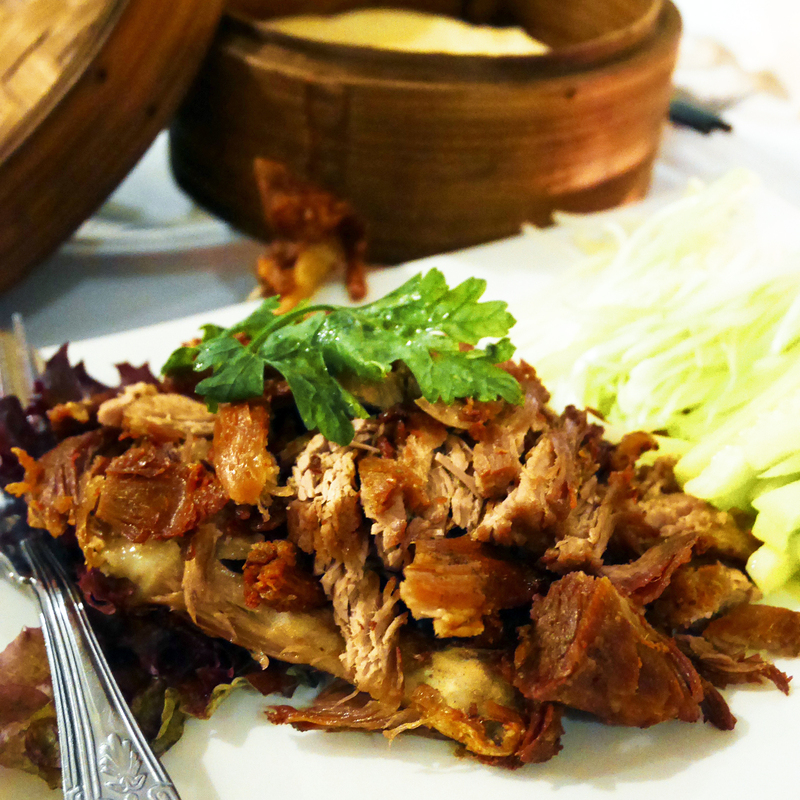 A self imposed rule I have is to never to order the same dish when dining out but it's virtually impossible not to order the aromatic duck pancakes isn't it? Shredded tender meat, rendered of all that natural fat to make it juicy still, cucumbers, thinly sliced spring onion and paper thin pancakes. I loved them when I tried them as a kid and I love them just as much now. Hang on, let's go back to that paragraph about being adventurous shall we? The table was then laden with Kung Pao prawns, sizzling steak in a black pepper sauce, Singapore noodles (actually a Cantonese creation) and egg fried rice to fill your boots with. 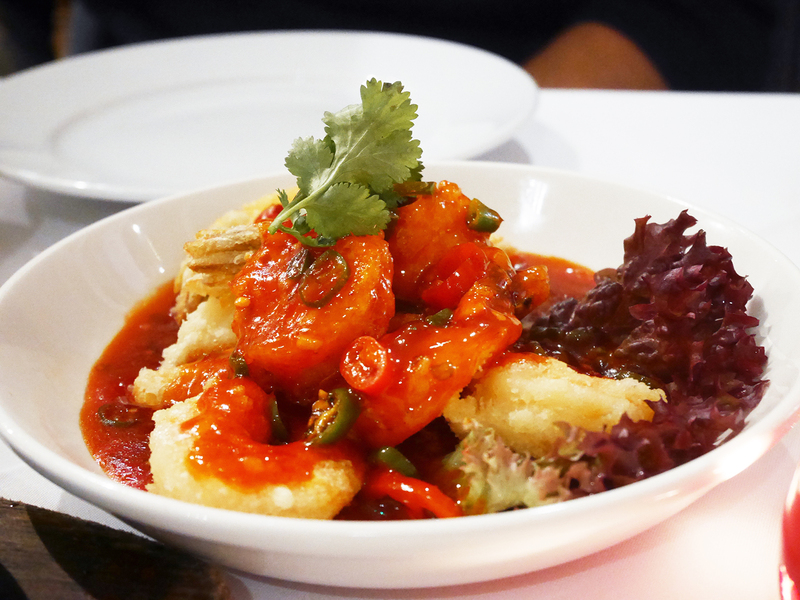 A mix of heat, sweet, saucy, rich and spice that is heavenly to gorge yourself on. Gars is a very modern Chinese in presentation, all bright, glossy finishes in black and red and I think there's a karaoke bar in the basement for when you've made a good dent in the sake. The day time and dim sum menu is something also worth looking up; the stuffed crab claws, asparagus hot pot, pork dumpling soup, and the fashionable bao buns will certainly have me returning. 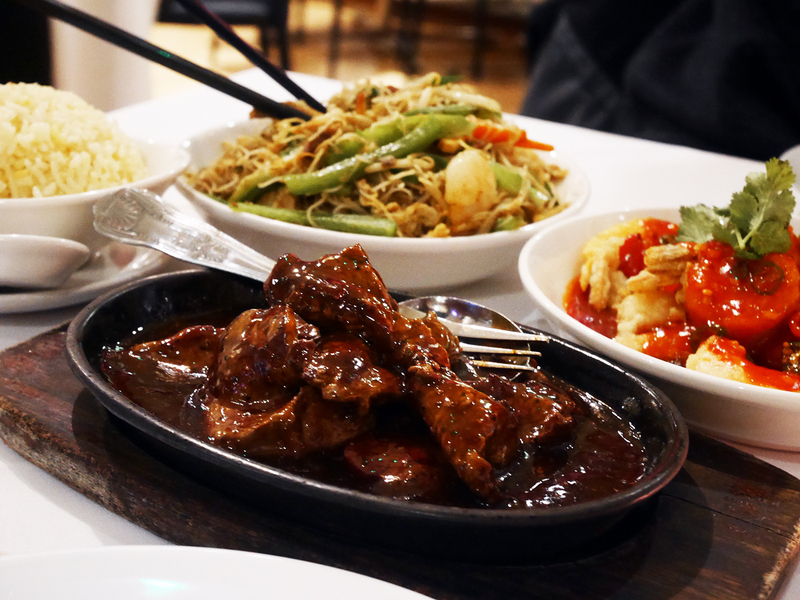 If you want to try some of the more unusual or regional traditional dishes from this cuisine, with parts of animals that make most Western palates quiver, then there are places that cater for this in town. But if you have a craving for accessible Chinese food and need to scratch that itch, you can't go far wrong here. I dined as a guest of Gars. Words and thoughts, as always, my own.